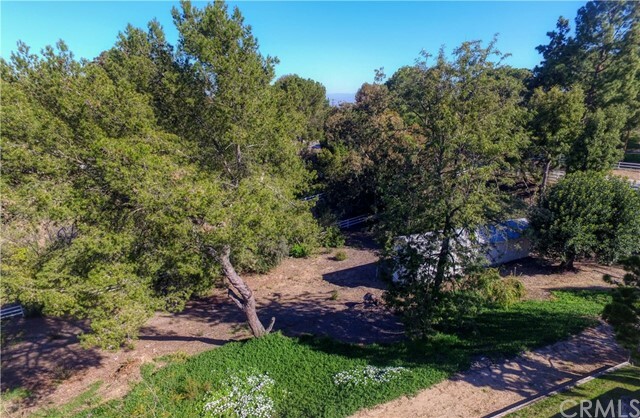 Prime location on a large flat pad close to Main gate and Crest gate provides for access to major freeways & to an easy commute to downtown LA or to the Century City area. 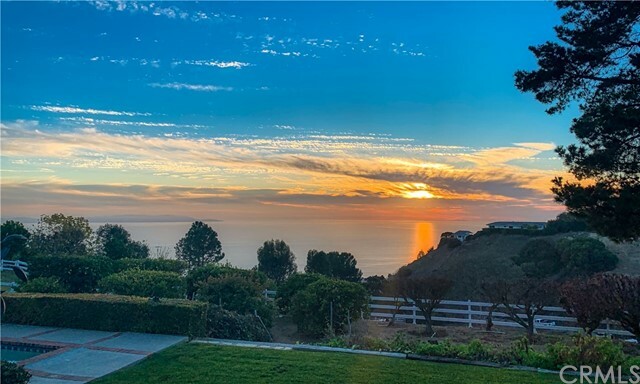 Enjoy endless sunsets over the Pacific and gorgeous views of Catalina. 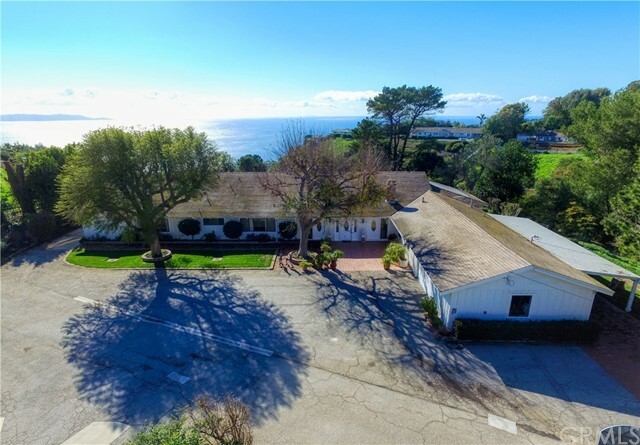 Amazing potential as a horse property - there is a two story barn and huge corral. 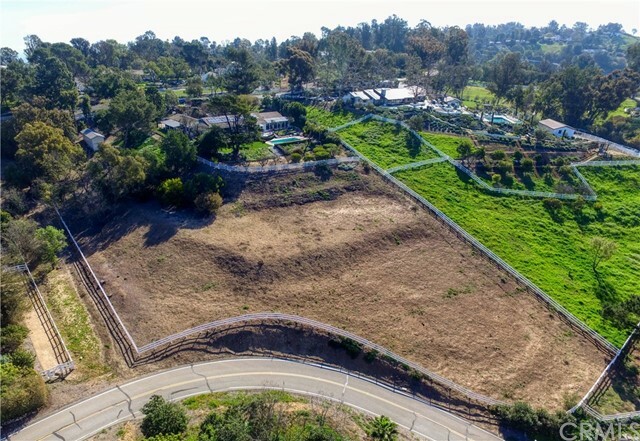 In addition, there's room for vineyards, more orchards or other options to take advantage of the rare, flat, usable land. 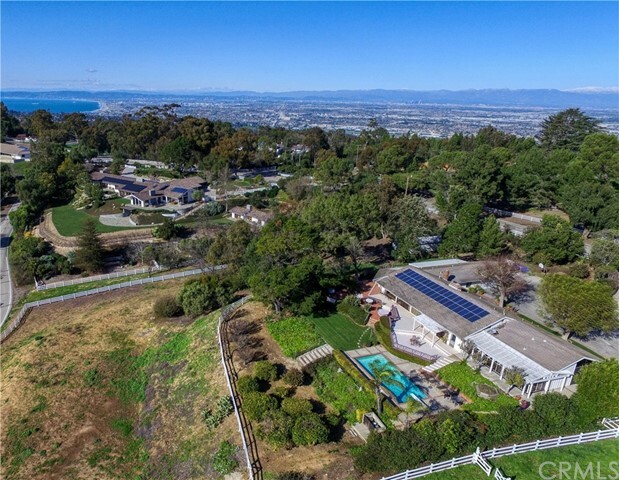 Centrally situated within the City of Rolling Hills, this home has the advantage of a great location, outstanding topography. 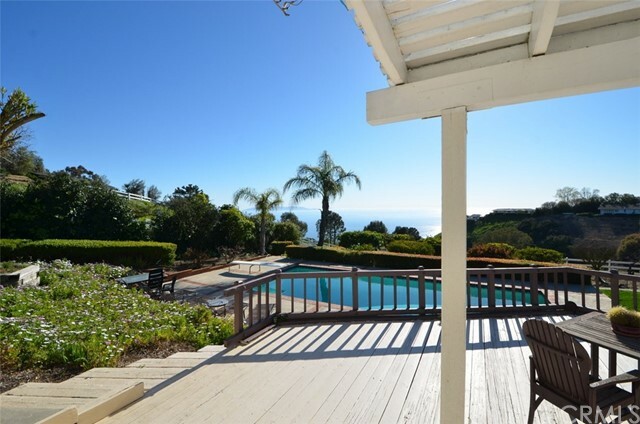 The property has been developed to take advantage of amazing views and extensive usable land. 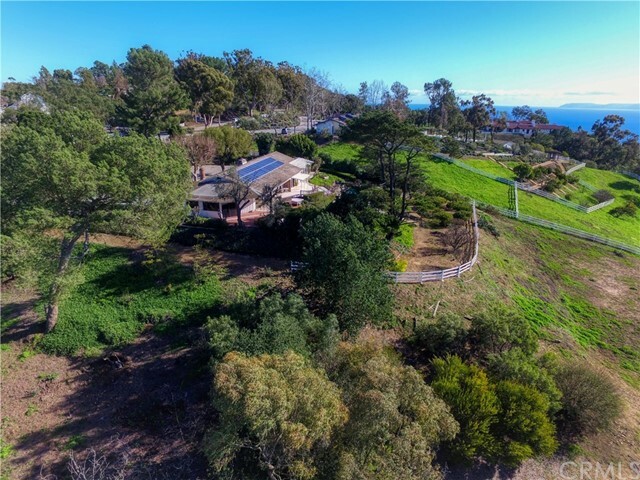 Overhead view showing size of the property and extensive FLAT, USABLE land situated off crest overlooking Catalina, the Pacific and Palos Verdes. 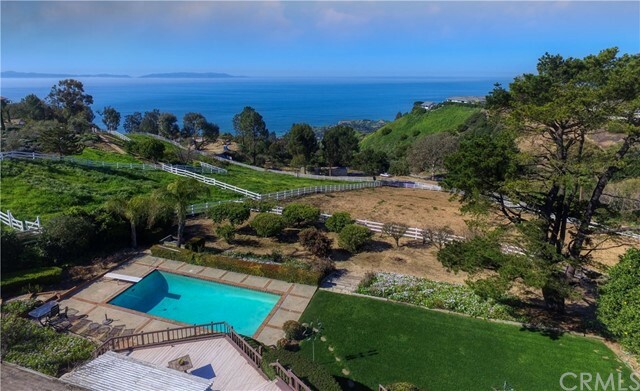 This home provides timeless views of Catalina Island and the Pacific that never grow old. 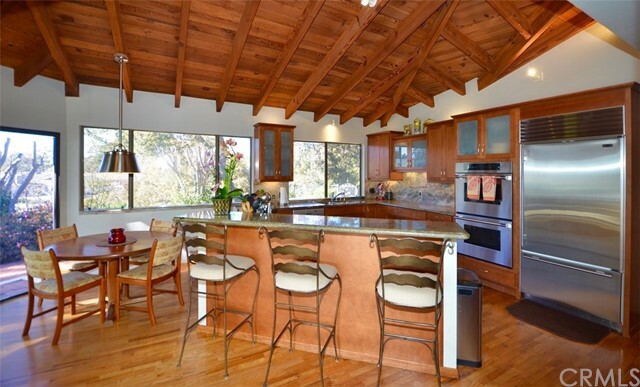 The remodeled kitchen with granite counters and a large center island takes advantage of the views to the west as well as the Catalina/Pacific views. The heated pool and deck take advantage of the views. Top quality appliances including a Sub-Zero refrigerator & freezer and a 5 burner gas range by Wolf combine to welcome guests and the family to the heart of this beautiful home. 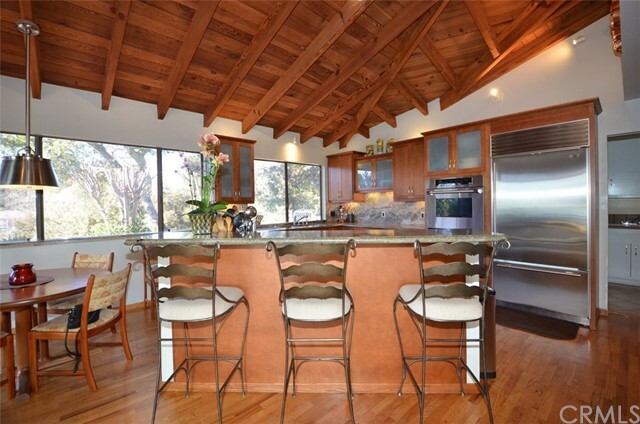 The cathedral wood ceiling provides a gentle sense of warmth. 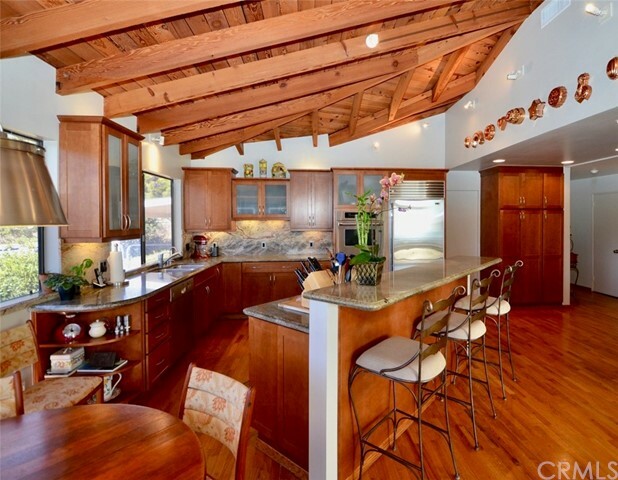 The open floor plan brings together the dining room, living room and kitchen to provide for gracious entertaining as well as relaxed everyday living. 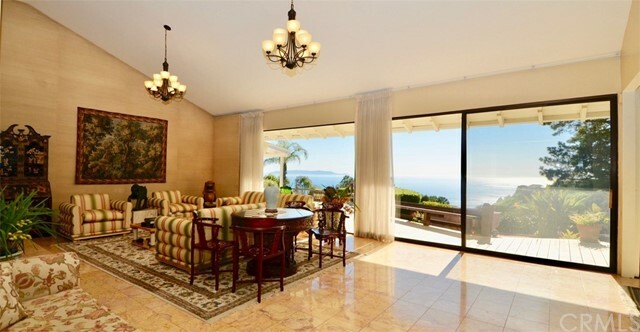 Breathtaking views of Catalina and the Pacific coastline can be enjoyed from most major rooms of the home . 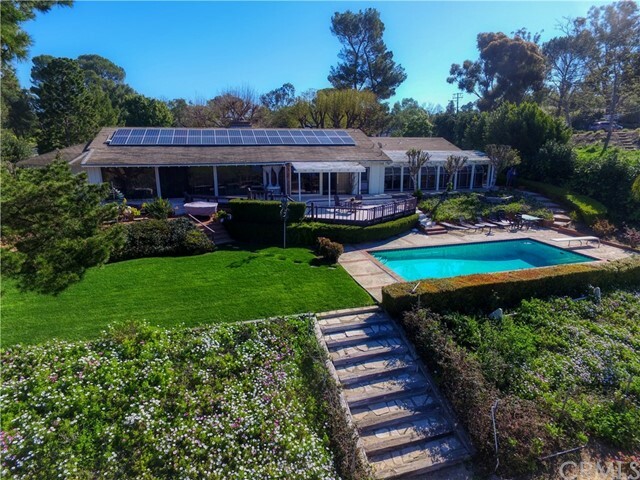 Gigantic windows and sliding glass doors bring the outdoors in and provides for continuous enjoyment and appreciation of Rolling Hills' rare, rural atmosphere. 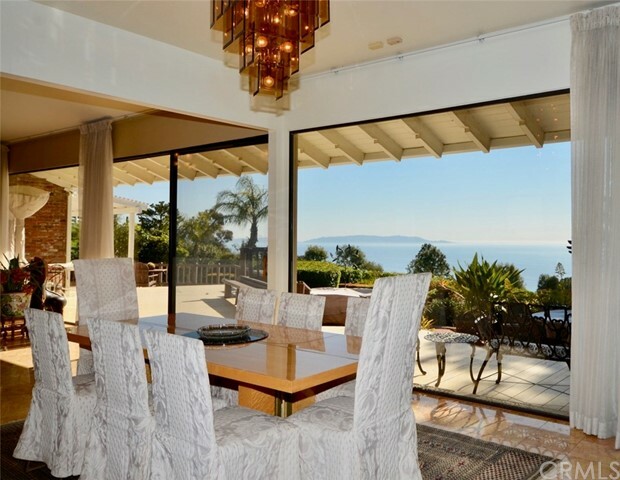 The living room allows for gorgeous views and a reflective, mirrored wall provides additional views of the coast and Catalina Island. 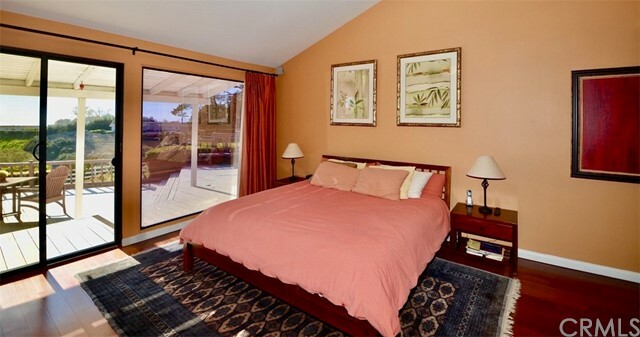 The master suite that overlooks the panoramic ocean and Catalina views has access to the exterior patios, decks and pool with extensive use of glass and sliding doors. 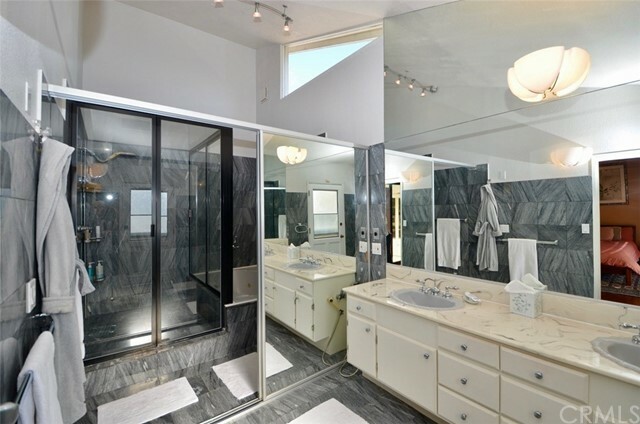 The huge master bath provides for a spa like experience. 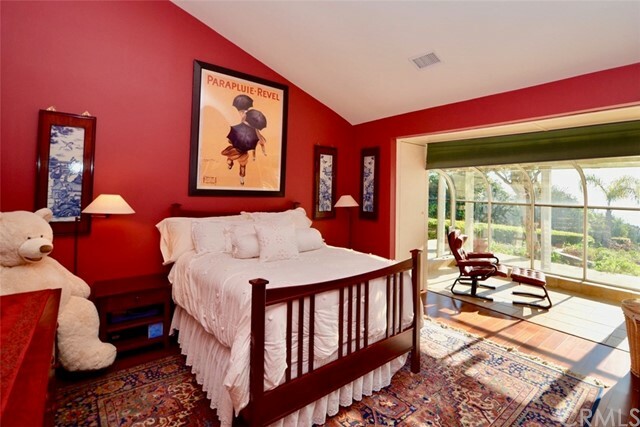 One of the guest rooms - with gorgeous views and an additional sunroom make this room bright and attractive. 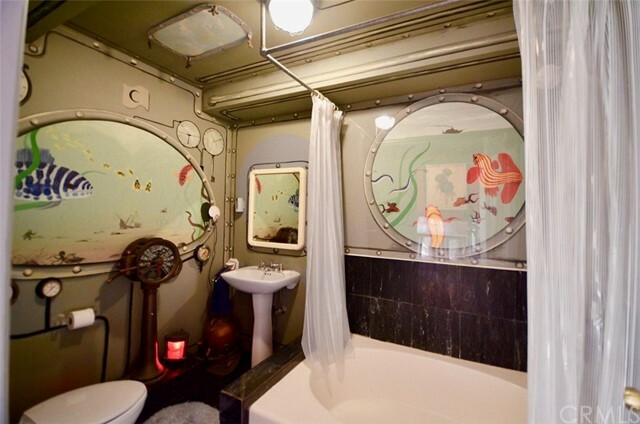 One of the guest bathrooms with a nautical theme! View of the property from the west showing the northern half of the property. 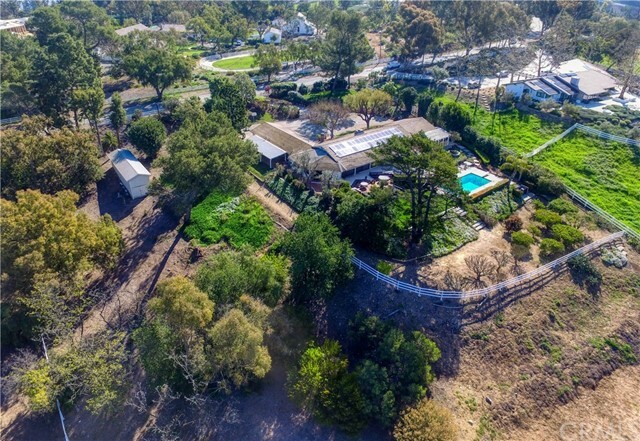 Located on one of Rolling Hills premiere streets, this home provides a rare opportunity for your family to enjoy a home that is move-in ready to enjoy: complete with pool, barn, gardens, orchards and corrals. 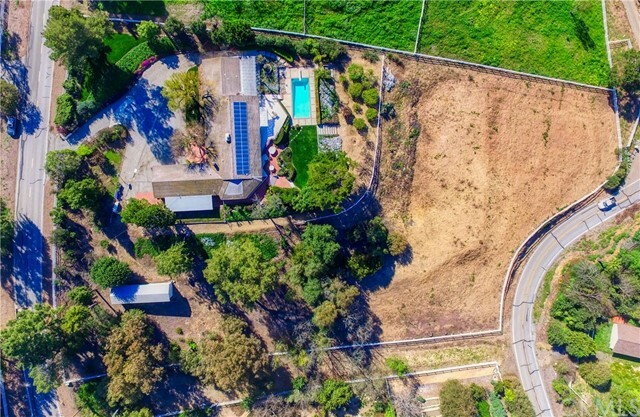 Aerial view showing barn to the west with access to corral. This home is nestled among mature trees. There is a heated pool and deck above the orchard. On the north side there is a large motor court with extensive parking off Crest Road. 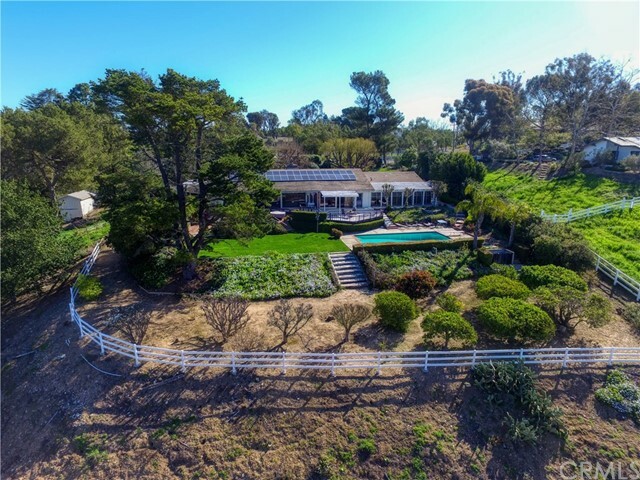 The barn is nestled among mature trees and allows access to the large, fully fenced corral. The house has been beautifully upgraded and has solar panels to reduce electricity bills. Pool, deck and the extensive outdoor entertaining area brings together the indoors with the outdoors. 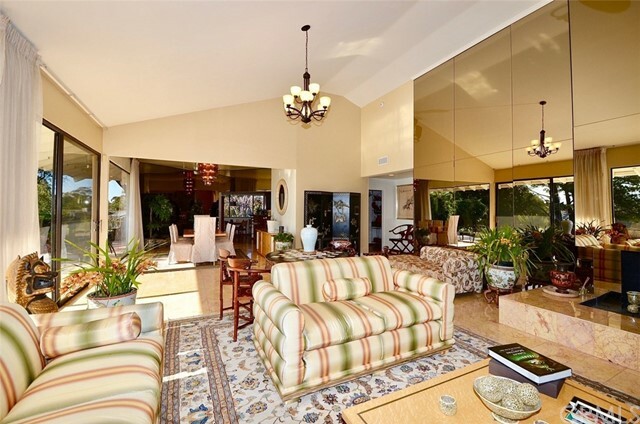 Floor to ceiling windows open to the patio, decks and pool along with manicured lawns and gardens above the orchard. 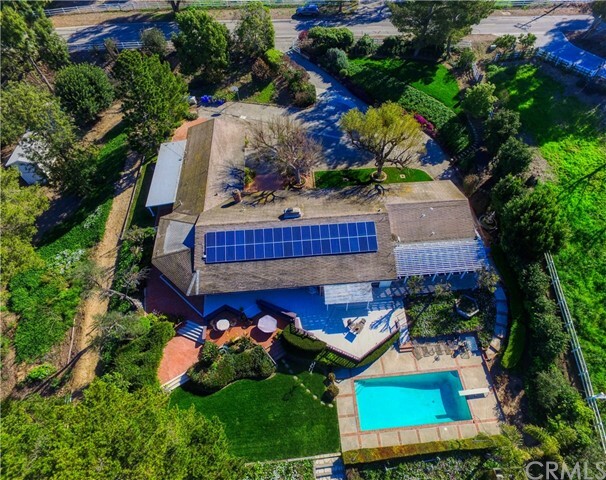 This property is a rare find in the gated City of Rolling Hills.